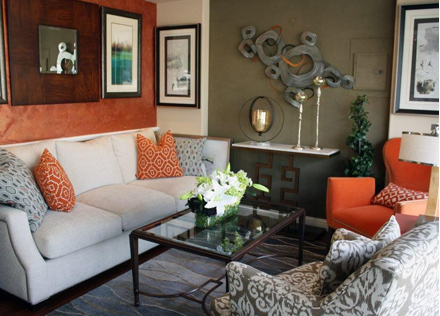 First Impressions Interior Designers work daily with contractors & home owners during remodels. We typically act as liason between the two, help in selection of materials, purchasing, make sure the project runs smoothly & decisions are made in a timely manner as not to hold up contractor’s work schedule. We offer the most efficient interior design services bay area. Window Treatments are always designed with function & beauty in mind. Shutters, blinds & shades, draperies & valances, cornices & swags. trims, tassels & decorative hardware. With so many options, let First Impressions present the ultimate solution for your windows. Sometimes it is difficult to visualize just how the materials you selected will come together. Well, not any longer. With our 3D projection, we take measurements then scale a floor plan according to your specifications. The results are a realistic drawing that reveal your room design. Stop in our Walnut Creek showroom to view a variety of kitchen & bath displays. We work closely with kitchen & bath professionals for any built-in cabinetry needs. Our designers will guide you through the entire process from initial design, selecting the cabinetry, countertops, backsplash design, & installation. Selecting the right colors for the interior or exterior of your home can be overwhelming. First Impressions Design is superb at selecting color palettes that compliment the rest of your home yet embrace your personality. If you are unsure of where start, call our Walnut Creek Showroom to set up a consultation. We can not think of a better place to discuss interior design concepts than the space we’ll be decorating. In addition to determining project scope, we’ll be able to listen and understand your needs and design goals. First Impressions comes equipped with color palettes and fabric swatches to help initiate ideas. There’s no doubt that going through the interior design process is exciting! However, it can be overwhelming too. That’s why Carol is an expert at helping clients select furniture for their new room designs. Our Walnut Creek Showroom is stocked full of furniture, upholstery samples and industry specific vendors. The Right Sources For The Right Design. Every Time. Hunter Douglas Window Fashions offer stylish designs in combination with energy efficiency, sun protection and privacy. Our clients love the room darkening fabrics available as well as the myriad of horizontal and vertical shade solutions for all window styles. First Impressions offers clients, in the San Francisco East Bay Area, the finest products from premier sources at competitive pricing. Many of our manufacturers and designers sell “to-the-trade only”, which may not be available to the public. We understand our clients. We take the time to educate and listen to our clients needs. It’s the reason our interior design services were recognized in 2014 & 2016 as “BEST OF HOUZZ in SERVICE & CUSTOMER SATISFACTION.” An award given to less 4% of HOUZZ businesses. Designed with function & beauty in mind, we offer the finest selection of shutters, blinds, shades & draperies in Walnut Creek. 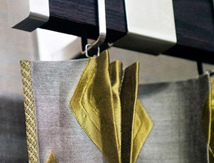 First Impressions specializes in custom valances, cornices & swags. trims, tassels & decorative hardware. Visit our showroom to sit in the upholstery, touch and feel the luxury. 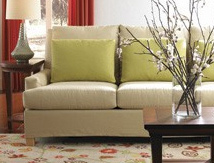 Extensive library of trade sources from sofas & sectionals to dining sets & accent tables. We will select the appropriate furnishings for your home. Let us help provide the finishing touches and visual interest in the room. Many items on display and for sale in our showroom. 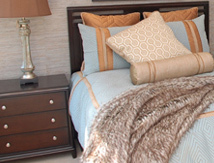 Along with sumptuous bedding & decorative pillows in your choice of fabrics & trimmings. 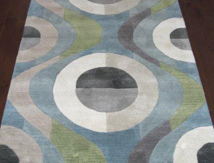 Select the right flooring to meet requirements of beauty, practicality, budget & function; hardwood, stone, and tile, luxurious carpet and unique area rugs.